On Tuesday 10 September the wait is over….THE TESTAMENTS, Margaret Atwood’s highly anticipated sequel to The Handmaid's Tale, is revealed. The publication of Atwood’s The Handmaid’s Tale in 1985 and the current, Emmy Award-winning television series have created a cultural phenomenon, as handmaids have become a symbol of women’s rights and a protest against misogyny and oppression. 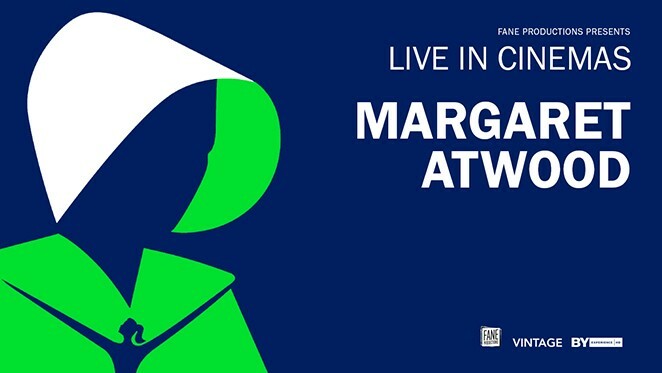 Live from the London stage, Atwood will be interviewed by broadcaster and author Samira Ahmed in a conversation spanning the length of Atwood’s remarkable career, her diverse range of works, and why she has returned to her seminal handmaid story, 34 years later.With exclusive readings from the new book by special guests, this will be an unmissable and intimate event with Atwood, spotlighting her signature insight, humour and intellect.